If you’re experiencing pain in your feet, knees, hips or low back, wearing the right shoes is one of the simplest, most effective solutions. 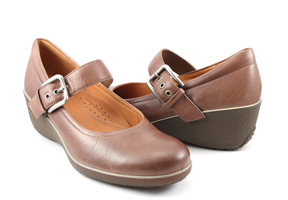 Orthopaedic shoes are specially designed to provide the support your feet need. Orthopaedic shoes typically have firm, low heels, wide toes to eliminate pinching, and a strong shank for proper heel and ankle support. Many orthopaedic shoes are designed with removable inserts, to accommodate custom orthotics for the ultimate comfort and support to suit your individual needs. Physiomed offers a full line of quality orthopaedic shoes and specially designed running shoes from top brands.